The Oppo R11s Plus comes as a big sibling to the R11s smartphone and an upgrade of the R11 Plus, packing a more robust spec sheet, although somethings are still the same. Some of the differences between the two devices is an increase in screen size, internal memory and battery capacity amongst other things. The flagship smartphone comes with premium design as well as a powerful chipset on the inside. Finally, Oppo has decided to adopt the 18:9 aspect ratio which is what most high-end smartphones being made recently have. 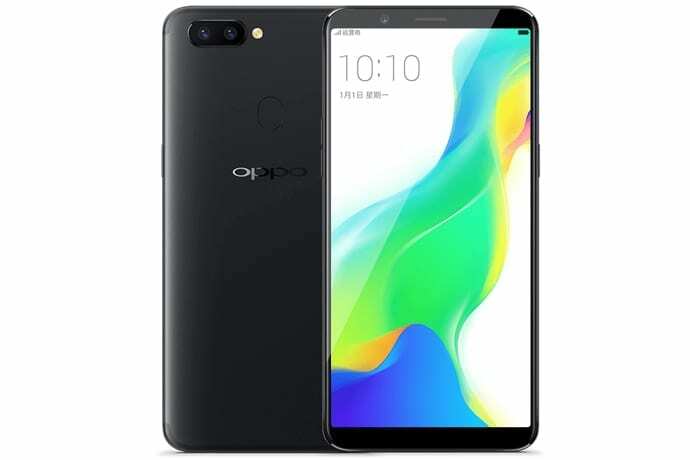 Compared to the R11s smartphone, the Oppo R11s Plus is slightly thicker and weighs at 7.3 mm & 182g which can be attributed to the increased capacity and some other hardware changes. The Oppo R11s Plus features a large screen/usable surface of 80.7% which ensure that you get maximum viewing experience. That aside, the smartphone has one of the largest full screen display with a 6.43-inches 2160 x 1080 pixel resolution AMOLED display. The Oppo R11s Plus has a pixel density of 376 ppi which can be attributed to the increased screen size. There is really not much to say concerning the camera featured in the Oppo R11s Plus has it features the same camera set up of 20MP front camera and a dual 20MP + 16MP sensor. Also, the dual back camera is capable of taking pictures independently depending on the lighting. At the selfie side, Oppo’s AI beauty recognition technology to assist in enhancing pictures and improve the quality of images. A bump in battery capacity to 4000 mAh is present in Oppo R11s Plus which is one of the upgrades in the device amongst other things. For a flagship such as the Oppo R11s Plus a certain level of performance which can only be provided by a certain tier of hardware is demanded. The smartphone feature a Qualcomm Snapdragon 660 Plus MSM8956 Octa-core processor that clocks at a maximum of 2.2GHz. This is the same setup we have in the R11s including the Adreno 512 GPU which is certainly not the latest from Qualcomm but does pretty well in terms of performance. However, there is a 6GB internal memory which is an upgrade to the 4GB featured in the other flagship and a 64GB ROM which is expandable to 256GB with the aid of a memory card. The Oppo R11s Plus boots the Android 7.1.1 Nougat based ColorOS 3.2 which is the same for the R11s smartphone. At the moment the Oppo R11s Plus is available for sale in leading online stores around the globe and if you are in Nigeria you should be able to get the smartphone at a price ranging from 220, 000 Naira to 270, 000 Naira.